Polymeric protective coating for automobile tires. Has a mud and water-repellent effect. 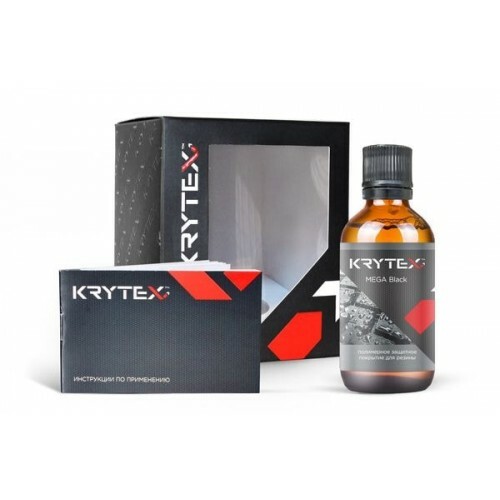 Protective coating KRYTEX MEGA Black has to be applied on a clean, dry and defatted surface at a temperature of + 10C to + 25C and at a humidity of maximum of 60%. It is recommended to apply the product wearing gloves and a respirator. 5. The vehicle can be used 1 hour after the application, preventing the water from getting to full hardening (3 hours). Do not wash the car using chemicals 1 day after the application of KRYTEX MEGA Black.